Super Hot!!! Sony will launch their Winter Trade-In event at B&H. 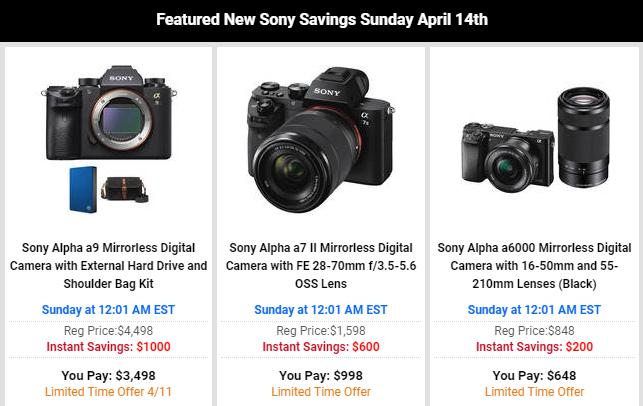 You can get up to $900 awesome Sony savings + 4% Rewards on Sony Cameras, lenses and accessories. The deals start from February 4th to March 31st.